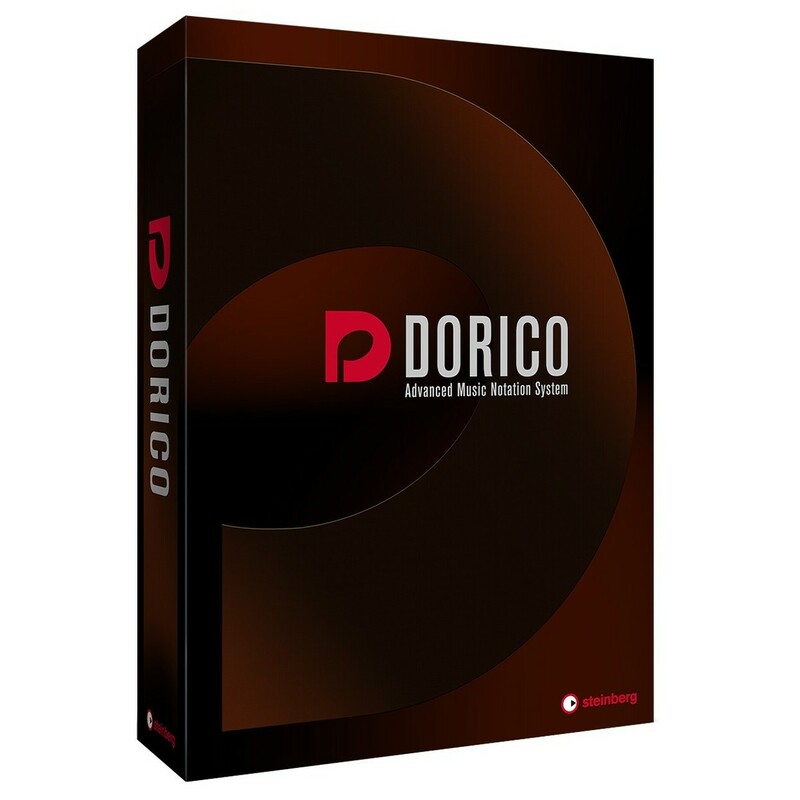 The Steinberg Dorico Scoring Software, Educational allows educational establishments to purchase Dorico Scoring Software at a discounted price. Steinberg Dorico is a versatile scoring application designed for both Windows and Mac systems. Steinberg Dorico is designed by musicians for musicians, ideal for professional musicians, composer, arrangers and educators. The intuitive design and modern innovations means Steinberg Dorico is the perfect tool for notating musical pieces. The result is a high-grade engraved output with unrivalled attention to detail, allowing you to use either your MIDI keyboard or computer keyboard for added versatility. The flexible interface and editing tools makes Dorico the perfect choice for any professional musician. The Steinberg Dorico Scoring Software, Crossgrade Educational gives educational establishments the ability to crossgrade between Steinberg’s renowned programs – Sibelius and Finale. The Dorico cross grades are available for customers who hold a license of the full retail or EDU versions of Sibelius or Finale. The crossgrade version excludes these versions of each program: Sibelius First, Sibelius Student or Finale PrintMusic. Steinberg Dorico is unique in its workflow, providing you with a intuitive layout that provides an ergonomic configuration for all major tools and controls. Inputting music in Dorico is quick and easy, allowing you to use either your keyboard or mouse to inputs notes, plus the hot keys and shortcut commands allow you to speed up your process. You can even use your MIDI keyboard to input notes for added convenience. Dorico’s unique approach to handling and notating rhythms, works by storing the way each individual note sounds instead of the notation on the page. This gives you the freedom and flexibility to notate every note according to the musical context, utilising the programs advanced understanding of musical rules. You can switch between the five different modes allowing you to make quick edits and control changes with ease. When writing for live musicians, you need maximum control and flexibility when it comes to instrument doublings, percussion layout and arrangement. You can choose a range of different instruments that can be moved freely between players. Dorico was developed whilst consulting with experienced engravers, helping to create the exceptional engraving engine at the heart of Dorico. The result is professional-grade, elegant scores featuring the meticulous design of every symbol and precise placement rules. The impeccable note spacing allows you to ensure a tight score without sacrificing clarity and legibility. As well as its wide range of scoring tools, Dorico also features the same world-class audio engine found in Cubase and Nuendo. The audio engine delivers crystal-clear 32-bit floating-point resolution with a sample rate ranging up to 192kHz. This pristine sound quality ensures you hear and capture every nuance of your music. Dorico also supports all VST compatible virtual instrument and effects, and comes complete with the HALion sample engine and channel strip modules. Dorico also features a top-end compressor and brickwall limiter as well as over 1,300 production-ready sounds from HaLion Sonic SE 2. This studio-quality sounds and effects ensures you can create the richest sounding musical pieces possible. In ‘Play’ mode, you can make edit to the MIDI performance of your music using piano rool and automation lane tools, as well as utilising the pop-out Mixer window for controlling audio signal routing and more. The highly intuitive layout of Steinberg Dorico Storing Software helps to streamline your workflow and editing process. The clear and concise layout of the Steinberg Dorico Storing Software places every major control and function at your fingertips. The five modes are clearly laid out at the top left of the application, allowing you to instantly switch between the modes. You can also define preset arrangement of frames as master page definition, which you can apply again across multiple projects. Dorico will automatically select an appropriate master page for the first page of each layout, with music and text frames sized correctly. You can also create text frames to provide performance instruments or extra dialog such as lyrics or annotations. You can also include page-relative graphics such as logos and other images. 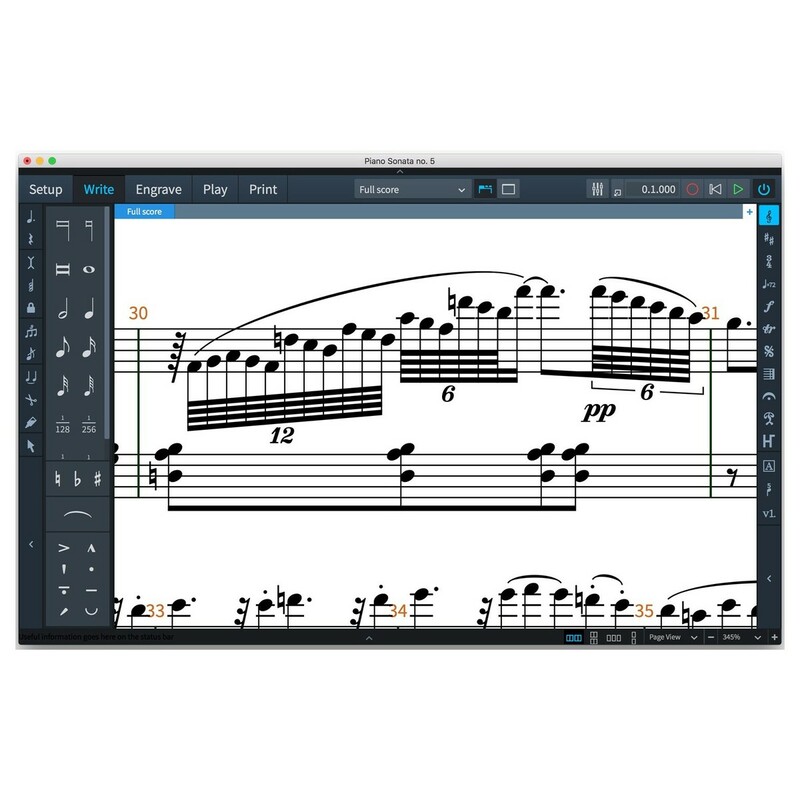 The single-window design and multiple large displays makes navigating Dorico a breeze. Steinberg Dorico can handle multi-movement works, ideal for pieces such as sonata, symphonies, songbooks, operas and more. 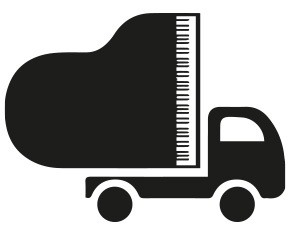 Other scoring programs only allow each document to contain one piece of music, whereas Dorico allows you to contain as many independent pieces of music as necessary, titling this process ‘Flows’. Flows allow you to create complex works, ensuring each flow will be notated, laid out and handled individually.